Why do so many of my customers not make a second purchase? If you’re having problems encouraging people into that all-important second purchase, don’t worry, you’re not alone. Studies have shown that on average around 14 per cent of shoppers are repeat customers. However, the NRF has shown that a benchmark figure from the best performing sites is around 40 per cent. Some of you may already be there, but for those of you that aren’t just take a second to calculate how much more value your business would drive from this. Simply multiply the average lifetime value of a repeat customer by the increase in the quantity of customers from hitting a 40 per cent repeat customer rate. For example if you were at a 25 per cent repeat customer rate for 20,000 customers, with £130 being the average LTV of a repeat customer your potential increase in lifetime revenue would be £390,000. There would also be incremental value add for every new customer added as well. I think you’ll agree, it’s definitely worth a minute of your time. 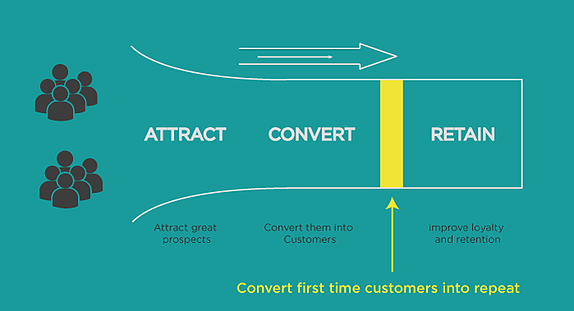 Below I’ve outlined a number of tactics you can add into your lifecycle marketing strategy to improve the conversion from first time customer to repeat customer. Here’s an image showing you exactly what phase of the lifecycle we’re focusing on. It’s highly likely that the open rate on your post-transaction emails is extremely high compared to general marketing emails. Everyone wants to see evidence that their purchase went through correctly. It’s also one of the only emails you are now allowed to send in the EU if your customers have not opted in for marketing messages. So don’t miss this key opportunity to get something of value in front of your precious customers! I can’t stress how important it is to wow your customers when your product arrives. This is one of the only touch points you can pretty much guarantee after a customer's initial purchase. Someone is going to open that parcel. You must take advantage of this opportunity. 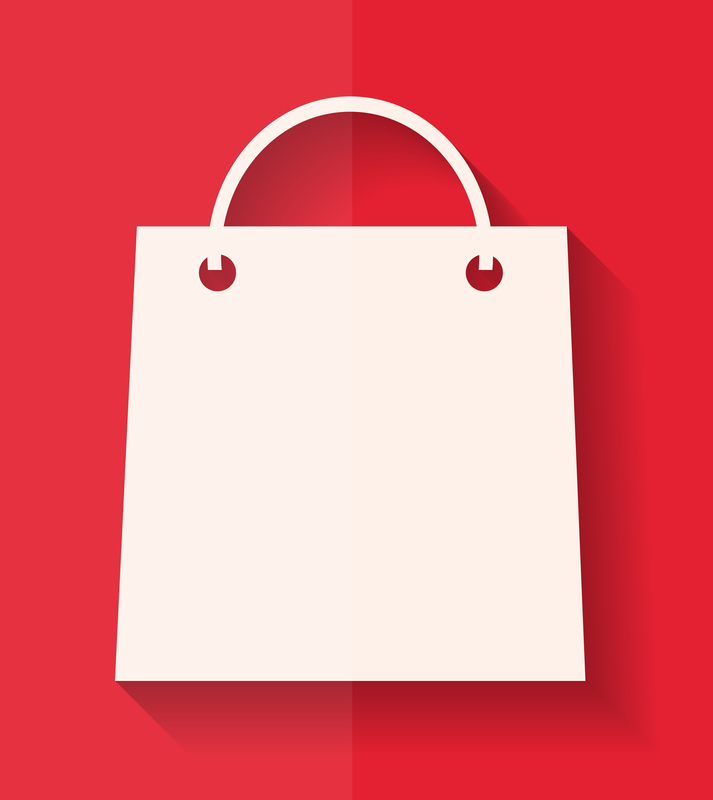 Offers - If your brand is open to doing offers then give them x% off their next purchase or off a specific product highly related to their purchase (cross-sell). If you not entirely sure about how discounts reflect on your brand image you could try using clever copy like ‘We don’t really do discounts but....you’re special so as a one-off here’s x% off your next purchase.’ Remember that this next purchase is incredibly important, after this purchase they are multiple times more likely to make another purchase. Track the performance using unique voucher codes or unique URLs that lead to a relevant landing pages. Surprise gift - Something useful that doesn’t cost you too much but makes all the difference to the customer. This may not be the right present for your brand but sports direct included mugs with their purchases which has distributed their branding across many homes in the UK. Invite-only members club - For big spenders, give them access to a unique club which gives them various benefits such as express shipping, exclusive events and early access to new products. Event invitation - Invite them to a local event you are hosting for your customers to come and network and see some of your new merchandise. Market the benefits of joining your blog or email list - If they haven’t signed up yet then it’s key to encourage this so you have a way to market to them in the future. There’s so much more you can do here so get creative and really connect with your customers so you make the best first impression. Quick tip - Try to always slightly undercut your estimated delivery times. You know how rewarding it is to receive something before you expected to. This small gesture can reflect very well on your brand image. For those that have opted in to your marketing, create an email marketing campaign that slowly builds engagement and delight after a customer's initial purchase. The campaign should work up to a strong incentive for their next purchase at a time directly preceding the average time a first time customer makes their second purchase. This will be unique to your business and you’ll just have to do some analysis on your customer data to get the right date. Check out the example below which shows a potential strategy for a drip email marketing campaign after someone has bought a scarf. Day 2 - Send how to video that helps customers understand how they can wear a scarf. Here’s a good example from Liberty here. Day 10 - Send an email with some example outfits that go well with the scarf. A soft sell email that has links off to related products but isn’t directly pushing them. Day 23 - Send promotional email that is cross-selling some winter jackets from the new range. Day 33 - If customer has not bought yet with initial promotional email send another promotional email marketing some of our bestsellers and a 10% discount if purchased in the next week. You should test out and optimise different versions of the above concept. Try to find something that really resonates with your customers. If you don’t have the ability to do very personalised emails on an individual level then focus on useful information for product categories rather than individual products. You can even just give very general care information relevant to all your products. The point is to start with something you can manage and automate and then slowly build up more personalisation with A/B testing to ensure you are achieving the desired effect. Amazon is extremely good at personalising its emails with recommended products based on their customers previous purchases. The benefits can be huge so try as much as possible to maximise the relevance of your next marketing message by tailoring it to the first purchase your customer just made so if someone bought a Bike then send them items such as a bike pump, water bottle or even some bike clothing or helmet. A great option to use in combination with your drip email campaign is custom audiences on both Facebook and Twitter. You can use similar content to the drip email campaign in the marketing messages. Targeting your customers on multiple channels massively increases the chances that something will click and the customer will engage with your advertising. Always be careful not to be too over the top that it annoys customers but also don’t be afraid to test it out and find your sweet spot. You can setup custom audience campaigns directly from the Facebook and Twitter ad platforms. Just upload your customers in groups and remember to remove them once they have made their next purchase. If you're able to, I would highly recommend using lists that dynamically update so that you don’t have to keep creating and editing lists. Here’s a great post from driftrock that shows you how to do it. If your customers haven’t opted in for email marketing then I would look into the option of using retargeting. Send individuals who have just made their first purchase to a unique landing page that has a retargeting pixel on it. This way you can be sure you are targeting the right people. Set up a retargeting campaign that starts advertising to them around the time when, on average, a first time customer makes their second purchase. Remember when using the above tactics to focus your budget on the customers who you predict to be most valuable to you in the future. To do this you will require predictive analytics or simple correlations that suggest things such as individuals who spend over x or buy more than 1 item are more likely to have a higher lifetime value. Also you should be using cohort analysis to determine if these changes are having the desired effect for new cohorts who are becoming customers on your site. Check out this post here for more help on cohort analysis. Take steps towards improving your repeat customer rate today. Thanks for reading everyone and don’t hesitate to reach out if you have any questions.